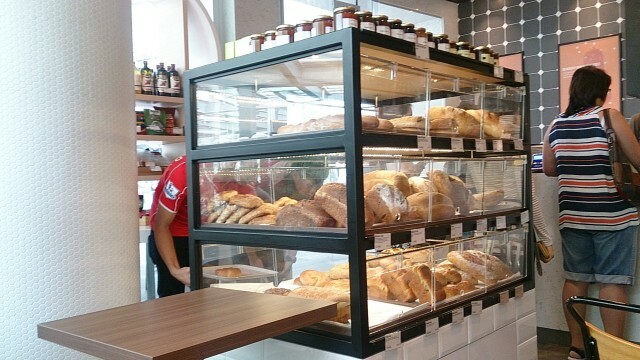 Born as a single Singaporean bakery in 1997, Cedele has become a diverse destination for delicious, nutritious food with outlets across Singapore and now Hong Kong. In our bakery cafés, retail bakeries and all-day dining restaurants, we serve up classic comfort food with a creative twist; championing naturally healthy ingredients and time-honoured, artisan techniques. Fell in love with this cafe... 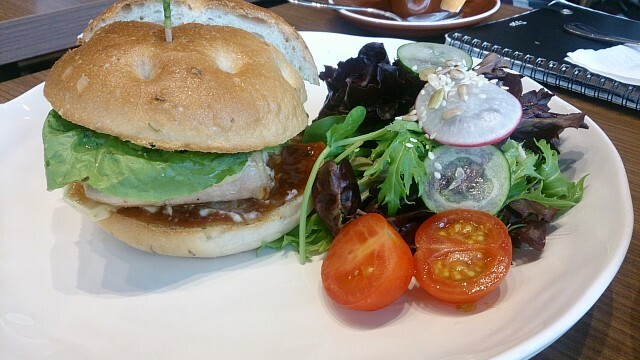 The setting was nice for a slow lunch and food was amazing especially sandwiches and other baked items. The cakes were so good and made with one of the healthiest recipe that did not compromise with looks and taste. Its a pretty new joint opened a couple months ago at the edge of the entire mall where you can see the service road while being carefully hidden by a wall of greenery. Not many tables however good enough to house say about 30 people max. It was a vegetarian burger that I thought would be"vegetarianly bland" tasting and by the way is what I label as a HEALTHY DIET... While being extra fervent for a somewhat saintly food, after a hedious korean BBQ last night i've decided why not try the beetroot burger and despite the redish sauce that stained almost everything, the burger was delicious. The bun was a crispy herby bread I've ordered which is likely a foccasia (I've forgotten what bread I've asked for) and well stuffed with a good choice of greens with a beetroot patty that actually do look like grilled medium done beef... The grilled beetroot patty was well seasoned that tasted yummy, with a good texture and the entire burger was just delicious with no bland taste... Nicely paired with avocado and a healthy olive oil dressing made this burger extremely tasty even to a non vegetable loving individual like me.